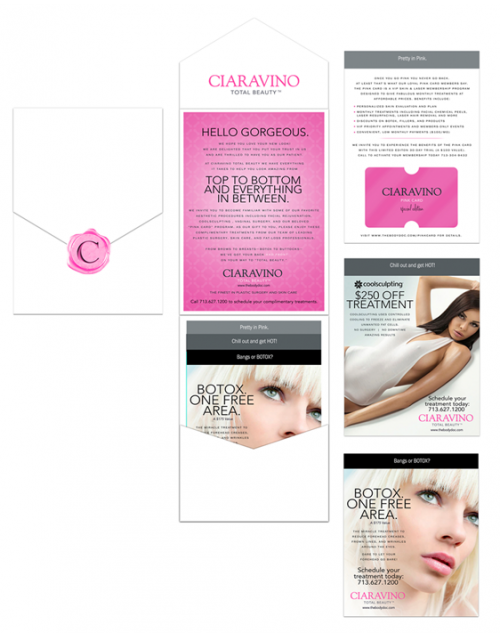 Design a patient loyalty program to grow Dr. Ciaravino’s skincare and injectable business. Create all the digital, print, and display marketing materials to help the practice promote the new program. 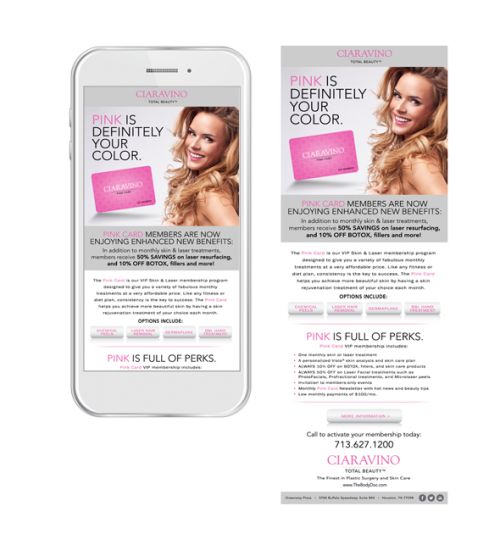 Pinpoint strategized with Dr. Ciaravino to create a monthly membership program designed to bring patients in each month for the skincare treatment of their choice (off a menu of qualifying treatments). Upon joining the program, patients received a skincare plan from a master aesthetician, putting them on a pathway for maximum results. In addition, patients enjoyed a number of other exclusive perks and savings for becoming a member. Breast aug patients of Dr. Ciaravino’s were given a complimentary membership for six month post-surgery (to transition them from surgical patients to regular, repeat, skincare customers). 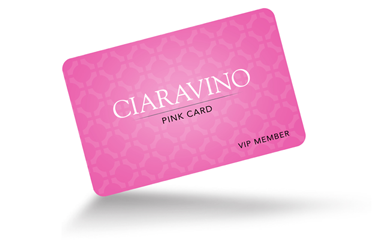 The Ciaravino Pink Card is a very popular program among patients in the practice. 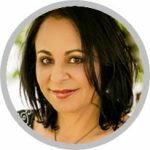 It has been a key tool for building skin care business and has been up and running for nearly four years to date.